(Natural News) Spanish researchers have been able to show that grilling is the best way to preserve mushrooms’ nutritional benefits. Scientists from Mushroom Technological Research Center of La Rioja (CTICH) sought to measure the influence of different cooking methods (boiling, frying, grilling) of betaglucans content, antioxidant activity, and proximate composition of four cultivated mushroom species. The researchers used the most widely consumed mushrooms – Agaricus bisporus (white button mushroom), Lentinula edodes (shiitake), Pleurotus eryngii (king oyster mushroom), and Pleurotus ostreatus (oyster mushroom) – for their study. 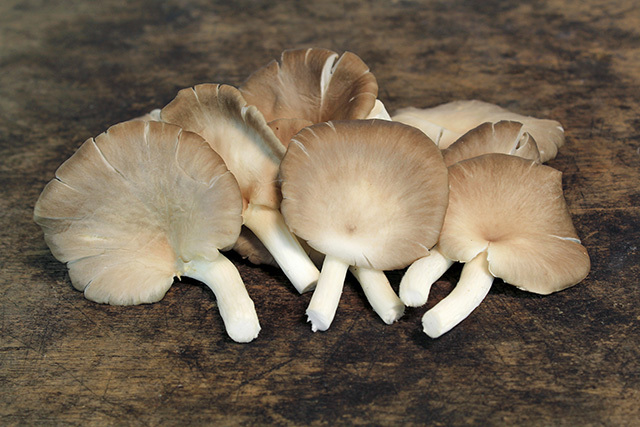 These mushrooms were harvested from the cultivation rooms at CTICH laboratories. After these mushrooms were cooked, they were then freeze-dried, and then their proximate composition and antioxidant activity were analyzed. The findings of the study, which are published in the International Journal of Food Sciences and Nutrition, show that frying results in severe losses in ash, carbohydrate, and protein content but increased fat and energy storage in mushrooms. The study also shows that boiling boosted the total glucans content by maximizing the betaglucans fraction. A tantamount reduction was detected in the antioxidant activity especially after frying, while grilled mushrooms attained higher values of antioxidant activity. “Frying and boiling treatments produced more severe losses in proteins and antioxidant compounds, probably due to the leaching of soluble substances in the water or in the oil, which may significantly influence the nutritional value of the final product,” says Irene Roncero-Ramos, one of the authors of the paper. “When mushrooms were cooked by…grill, the content of polyphenol and antioxidant activity increased significantly, and there are no significant losses in nutritional value of the cooked mushrooms. This minimal amount will not cause nutrient losses by leaching; in fact, the antioxidant capacity can be even improved. Moreover, if olive oil is used, the fatty acid profile of the final preparation is enhanced with barely [an] increase in the calorie content,” Roncero-Ramos adds. Mushrooms are nutritious foods since they provide a significant amount of dietary fiber and contain minimal amounts of calories and fat. Also, they have a good protein content (20 to 30 percent of dry matter) which incorporates most of the essential amino acids; they also provide a plethora of vitamins (B1, B2, B12, C, D, and E) and trace minerals such as selenium and zinc. Mushrooms are rich in active compounds with potential medicinal value such as betaglucans. They can also help lower cholesterol, especially in overweight adults, and provide phytonutrients that hinder cells from sticking to blood vessel walls and forming plaque, thus maintaining heart health by regulating blood pressure and circulation. To read up on more food science discoveries, visit FoodScience.news.